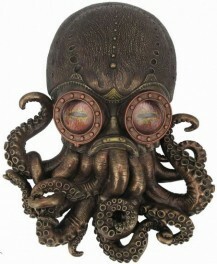 Very detailed figurine showing a steampunk themed octopus wearing a goggle mask. Suitable for wall display. 2 brackets on the rear.